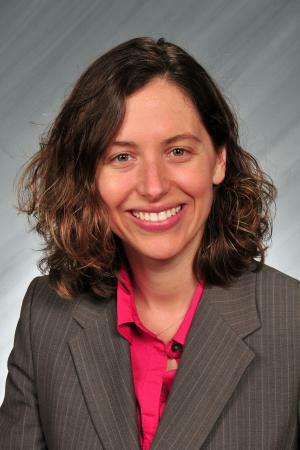 Erin Mullenix has been the research director at the Iowa Leagues of Cities since 2010, with an intermezzo from 2016 to 2018 as the director of data-driven science for Iowa State University, where she developed strategic planning and collaborative programs to support institution-wide activities related to big data and local government. This experience made her the logical choice for a new shared position with the Iowa League of Cities and ISU Extension and Outreach’s Community and Economic Development (CED) program, which she started in mid-July 2018. The purpose of the position is to serve as a bridge between CED and the League to find shared needs for data collection, research, and analysis that benefit Iowa cities and other local governments. As research director for the League of Cities, Mullenix supports the organization’s advocacy efforts and membership services, conducting research on local government finance issues and economic and fiscal issues. “When the legislature is in session, I interpret bills that might affect local governments and try to calculate the financial impacts,” she said. For CED, Mullenix is working with the Local Governments and Data and Technology teams conducting research and making data more accessible to CED clients. “Erin brings tremendous strengths in working with a variety of datasets in creative ways, to give us insights into current demographic, tax, and fiscal conditions and trends that don’t come from examining individual datasets in isolation,” said CED program director Gary Taylor. Mullenix is already working on a variety of projects at both the League of Cities and ISU. For example, she is conducting a levy rate study, using data from multiple sources to look at city levy data over time and to study trends. The purpose of the study is to show the reality of city resources. She is also surveying communities to obtain information about current residential and commercial utilities charges for a utility rate study. Upcoming projects include a TIF (tax increment financing) study, a housing data project, and debt reporting. Mullenix believes the position offers her the best of both worlds. “At ISU, I am not concerned with the legislative side, while at the League I have the creative freedom to help advocate for cities,” she said. “The Extension advantage is having credibility behind you when approaching the state,” she added. Mullenix earned a BSE in industrial engineering, a BA in Spanish, and a certificate in management from the University of Iowa in 2004. She earned her master of public administration from the University of Nebraska at Omaha in 2011. Between degrees, she was employed by a variety of organizations, including the US Postal Service, Wells Fargo Financial, Goodrich Corporation, and the Iowa Homeland Security and Emergency Management Division. She sees a logical connection between engineering and local government work.